Replacement ignition and door keys for Jaguar cars. We try and keep a stock of original Union/Wilmot Breeden FNR keys,for early XK vehicles along with FS, FP for some later cars - check here for details . If your are looking for 1990-1997 model Jaguar car keys using high security keys such as "Tibbe" we can help - our specialised key cutting equipment will cut 8 cut Tibbe keys. These are good through to 1997 (some cars in some markets were earier) Transponder keys came into use in 1998 - we no longer supply transponder keys out of frustration with the difficulty in getting these cloned locally. Keys from 1998 and later cars sorry but it's a trip to the dealer for you - and bring your wallet! 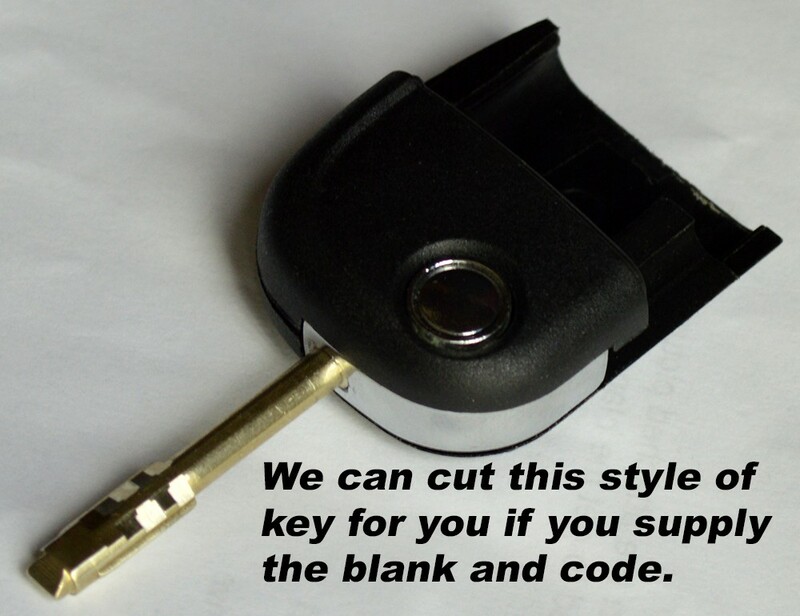 If you should happen to purchase a late model key from elsewhere we offer a cutting service if you supply the blank key and code - the cost for this service is $20 plus return shipping. Call us for details. Need help reading the code of your Tibbe key check this help link . Seems that quite a few Jaguar owners are loosing keys - we urge you to get a copy made before keys are lost. We are being told by owners that Jaguar dealerships are not of much help except for the most current cars. If your Jaguar is 1981 or later click on this link to see a page of Jaguar key applications supplied by ILCO and order a spare and have it copied before your only key is lost.